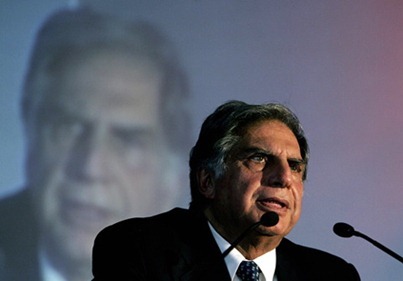 Ratan Tata has done it again – He is the Most Powerful CEO in India. The Economic Times Corporate Dossier magazine has not only voted Mr. Ratan Tata as India Inc’s Most Powerful CEO, second year running, but also India Inc’s CEO of the Decade. The Top 4 CEOs keep their positions as they had previous year as well – Mukesh Ambani is on 2nd position followed by NR Narayan Murthy (I am not sure as he is not CEO of Infosys anymore) and Anil Ambani takes the 4th position. The Biggest Jump however has been made by Sunil Mittal, from 9th position last year to 5th this year. I think one of the main reasons has been his aggressiveness in pursuing global acquisitions for Bharti Airtel. In last 12 months, Bharti has made foray in Large African as well as Bangladesh Telecom Market. Bharti Airtel now stands to be the 5th largest telecom company in the world. Azim Premji (6th), KM Birla (7th), Rahul Bajaj (8th), Anand Mahindra (9th) and Vijay Mallya (10th) round up the top ten positions in the Powerful CEO’s in India. "Top 100 powerful CEO’s in India", 5 out of 5 based on 3 ratings. my name is miss in this list. Dear Sir We are form Samudyan Kalyan Evam vikas sansthan as we work for marginalized community in our project area Kushinagar District of Eastern Uttar Pradesh while working we find the community people are so poor and deprived form their rights. kindly support us . . . .which can make help to poor of poorest people. . . .
Do we have updated list of CEO’s – BTW – this is very useful. Thanks for sharing. I wanted to see my self in this list in future………………………. I ll be there as a ceo in future…..
is this latest? I think so many companies ceo's changed. Thanks for the updation…May i know in which basis the report was made….I am sure ratan tata is should be in the number 1 position. Top 100 powerful CEO’s in India. Develop as a sunil Mittal. shortly………i will also be there. m waitin 2 see u dere….:)….. I wil b their in top 100 ceo's in nxt 9yrs mind it. Thanks for the information i really inspired . also I make a ceo after 5 year……….. Pledge: "Within 5 Years I will be one among the 50 TOP CEOs in India". TATA IS MY MOST FAVOURITE COMPANY.I HAD ONCE READ THE HISTORY OF MAKING OF TATA GROUP.IT JUST MADE ME FEEL PROUD AS AN INDIAN.I APPRECIATE TATA’s BECAUSE OF MY OWN EXPERIENCE.OVER THE TIME I OBSERVED THAT TATA’s HAVE WORKED FOR THE INDIANS SELFLESSLY.TODAY I BELIEVE THAT THEY HAVE HAD THE FILL OF HAVING MONEY.AND ALWAYS GIVE TO THE PUBLIC BACK.I HAVE NEVER READ IN PAPERS WHICH TATA HAS GIVEN AN AEROPLANE TO THEIR WIFE ON THEIR BIRTHDAYS OR MADE AN EXCEPTIONALLY MASSIVE PLACE TO LIVE, WHERE ONLY 4 OR 5 PEOPLE WILL LIVE.THIS IS HOARDING.WHERE AS A COMMON MAN IS STRUGGLING TO HAVE ONE FLAT OF EVEN 1000SQ.FT. WHILE CONTRIBUTING TOWARDS THE ECONOMIC GROWTH OF MUMBAI, TRAVELLING IN TRAINS, BEARING ALL THE HARDSHIPS ALONG WITH INFLATION.THE RICH AND THE SLUM PEOPLE ARE ENJOYING THE FRUITS OF HAVING A HOME. COMING BACK TO TATAS THEY ARE VERY DOWN TO EARTH PEOPLE.WE ALL SHOULD BE PROUD OF THEM. thx for ceo infomation…………well i m persuing B.Tech I.T ..in ur line….so need some guidence….. i m in 3rd yr…..!! Though the positions of the Tata and the Ambanis are justified, it is nothing but funny to find the CEO of Tata tea more powerful than IOC, BPCL, Gail and HPCL. It is criminal to hold BPCL CEO more powerful than IOC CEO. Anybody with knowledge of petroleum industry will know the standing of IOC over other petroleum Cos.
Hey thanks for the posting .. this is a very imp information for us ..
For details of Andaman & Nicobar Islands pls see the attachment and contact:- Mr Shyamal mob 09434280912 and Mr Barun mob 09434261139.